Get notified when Detroit Red Wings tickets are available! 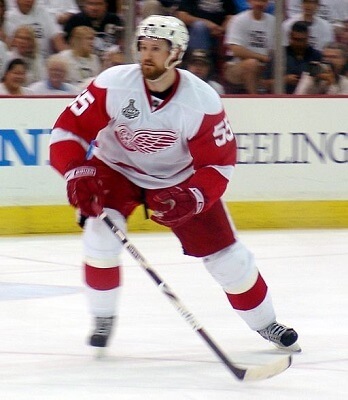 The Detroit Red Wings are a National Hockey League team that plays in the Eastern Conference within the Atlantic Division. The team was founded in 1926 as the Cougars and has had their current names since 1932. On game day, the Detroit Red Wings skate at Joe Louis Arena, known to Detroit residents as “The Joe.” Having opened in 1979, the arena is one of the oldest still in use by a National Hockey League team, and it is named after legendary boxer Joe Lewis. The arena holds about 19,000 fans, and you can be one of the thousands to attend a home game by purchasing Detroit Red Wings tickets online.